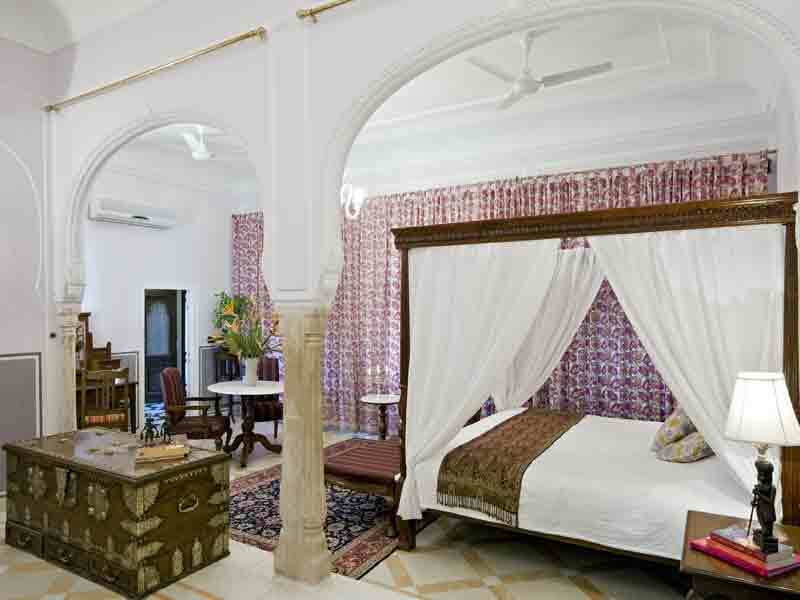 Each of the 19 spacious rooms are exclusive and are decorated in the warm colours and textures of local rajasthani hand block print textiles and adorned with traditional artifacts. 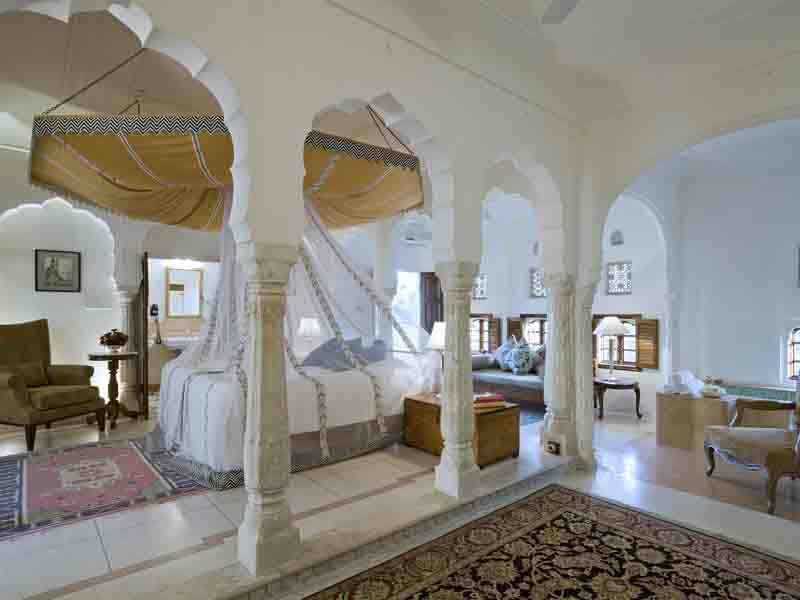 The interiors inspired by traditional design themes reach their fullest expression in the intricate marblework, woodwork and fabrics that accentuate the guest rooms. 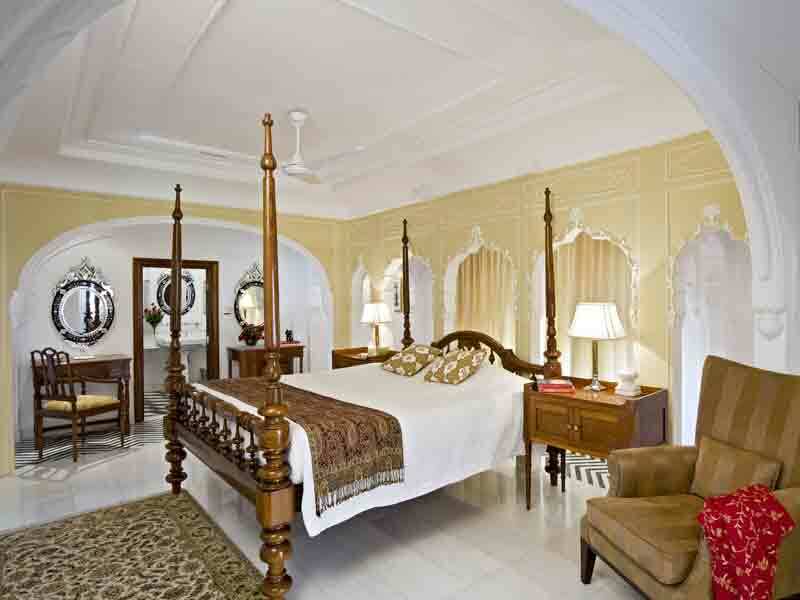 The spacious rooms with marble, mosaic floorings, high ceilings, cotton woven rugs durries, antiques and beautifully carved four poster beds provide a sense of luxury. 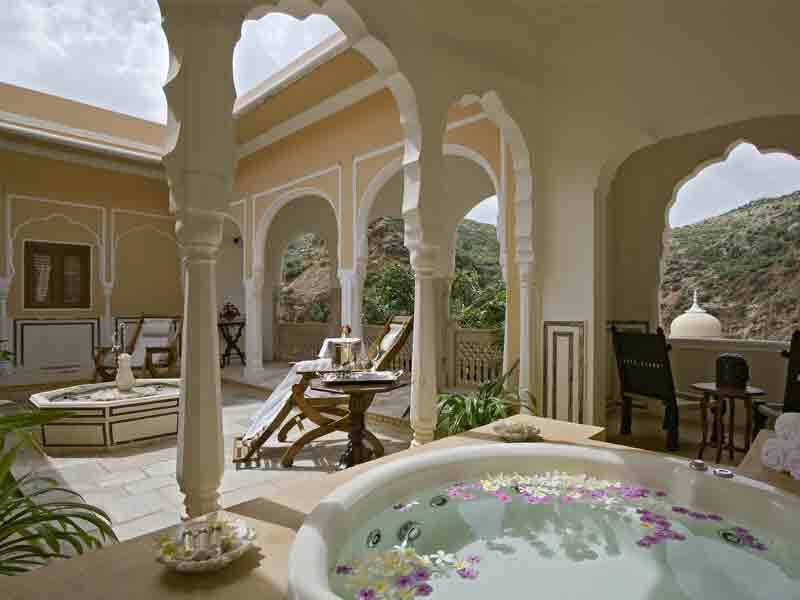 Each of the 19 Deluxe suites, all with a balcony or patio are exclusive and are decorated in the warm colours and textures of local Rajasthani hand block print textiles and adorned with traditional artifacts. 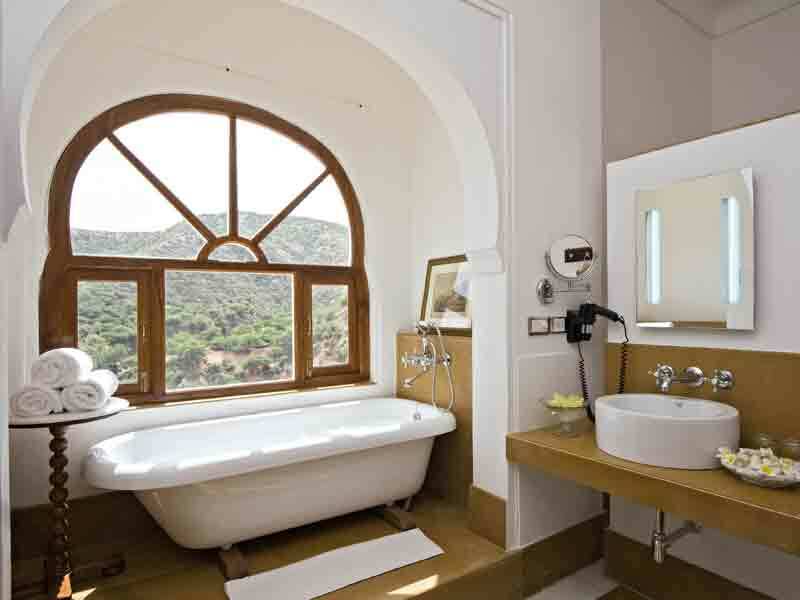 The interiors inspired by traditional design themes reach their fullest expression in the intricate marblework, woodwork and fabrics that accentuate the guest rooms. 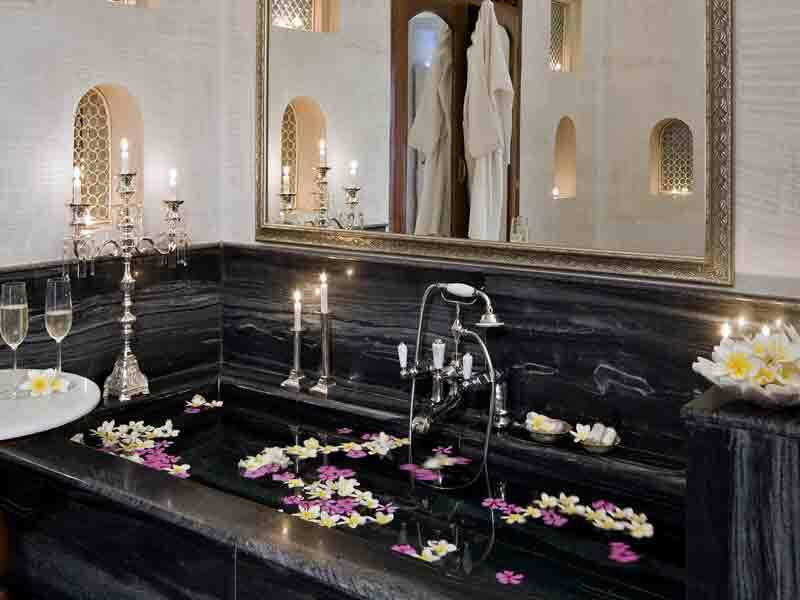 The spacious suites with marble, mosaic floorings, high ceilings, cotton woven rugs durries, antiques and beautifully carved four poster beds provide a sense of luxury. 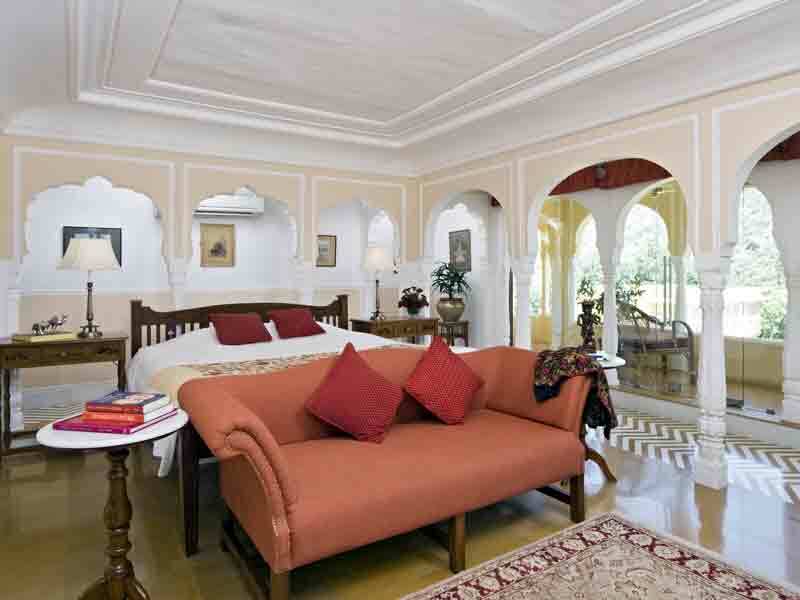 Each of the 4 Royal suites with a private terrace are exclusive and are decorated in the warm colours and textures of local Rajasthani hand block print textiles and adorned with traditional artifacts. 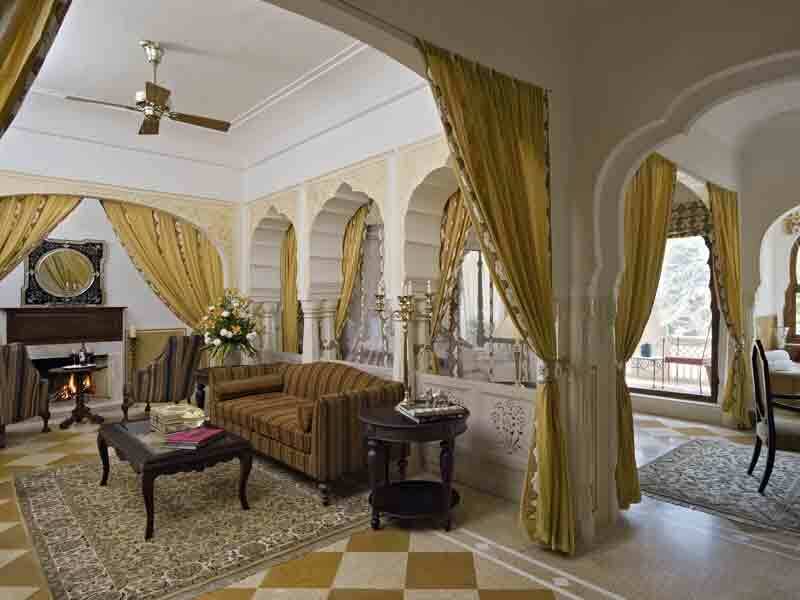 The interiors inspired by traditional design themes reach their fullest expression in the intricate marblework, woodwork and fabrics that accentuate the Royal Suite. 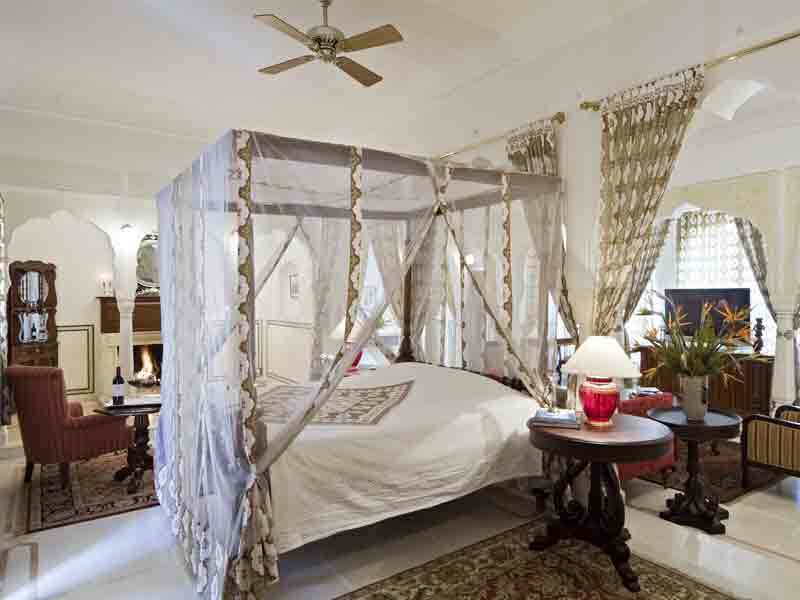 The spacious suites with marble, mosaic floorings, high ceilings, cotton woven rugs durries, antiques and beautifully carved four poster beds provide a sense of luxury.